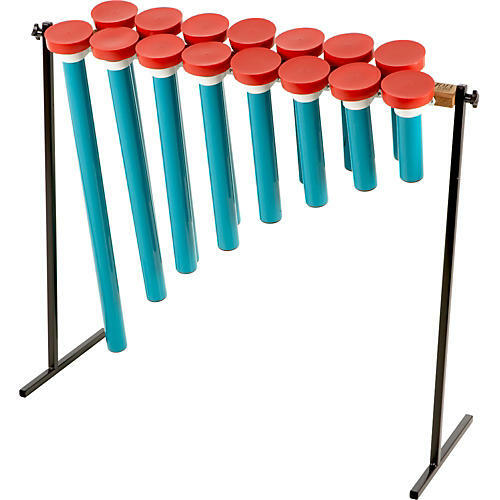 Joia Tubes are a pitched pipe percussion instrument that produces a unique rich, deep resonant tone. 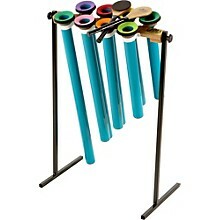 Joia tubes feature a heavy plastic pipe construction with a special collar assembly to produce a variety of tones. 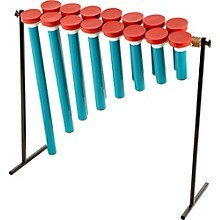 Each Joia Tube set is mounted on a specially constructed 34 inch stands for easy access to the player. 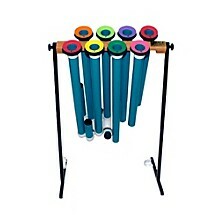 Joia Tubes can be used in a variety of settings, from the music classroom incorporated into Orff-Schulwerk instruction, to the band or orchestra room to be used as a unique percussion instrument for concert, jazz and marching band or with an orchestra for use with contemporary literature, to use by music therapist for the treatment of Autism, Alzheimer's and disruptive personality disorders. Joia Tubes are available in a variety of diatonic, pentatonic and chromatic sets and extra mallet sets are also available. Joia Tubes are now made from 96% recycled materials.